Dr. Cowan is a medical doctor who graduated from Michigan State University College of Human Medicine in 1984. He is a founding board member of the Weston A. Price Foundation™. He is the principal author of the book The Fourfold Path to Healing, he is the co-author of the book The Nourishing Traditions Book of Baby & Child Care. And he writes the “Ask the Doctor” column in Wise Traditions in Food, Farming and the Healing Arts, the foundation’s quarterly magazine, and has lectured throughout the United States and Canada, and currently sees patients at his office in San Fransisco. And in today’s show, we talk about nutrition for preconception, pregnancy and postpartum, as well as nutrition and care for babies and children. We also talk about the philosophy of illness and healing, and why modern medicine often gets it wrong. Why does modern medicine fail to address the root cause of illness? In what ways do traditional cultures look at pregnancy differently than we do now? Are there any traditional cultures who ate a vegan diet? What can we learn about fertility and pregnancy from traditional cultures? Why are certain illnesses considered to be “incurable” and how does the doctor’s philosophy of illness contribute to this belief? What type of diet is most beneficial for babies and children? How does a mother’s diet impact her breast milk? Will the baby always “get what he/she needs” regardless of their mother’s diet? Making baby formula at home? How does homemade formula differ from store bought formula? How to find a doctor who will work with you to determine the root cause of illness? You can connect with Dr. Cowan on his website, and on Facebook. I love your Podcast, but I found Dr. Cowan to be insensitive and not an expert on fertlity in particular. I just listened to this episode and loved his no-nonsense style. I learned so much and and I can’t wait to look more into his books. Thank you for having him on the podcast. As a regular listener, and pediatric registered dietitian in Canada, I really disliked this podcast, it made me cringe listening to this doctor. 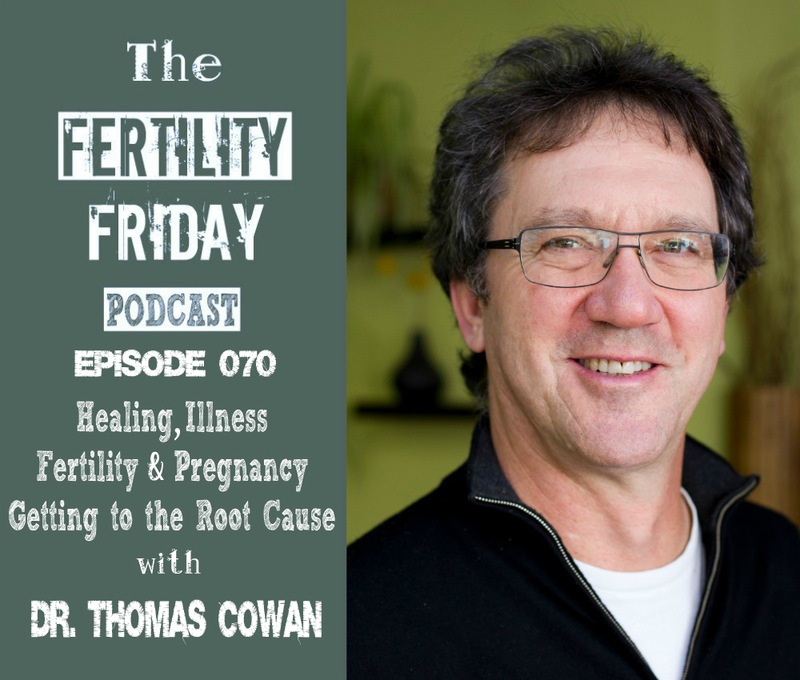 I did not find Dr. Cowan as an expert in fertility and he certainly is not an expert in pediatric nutrition. His information has potential to cause harm and goes against recommendations from all other credible health outlets. It is irresponsible to be providing this information widely to future parents thinking that homemade formula is safe for infants. Hi Dana, I appreciate your perspective, and while I disagree that the formulations outlined in the Nourishing Traditions Book of Baby and Child Care are dangerous for newborns, I believe that it is every parent’s responsibility to do the best they can for their children. It is important for every parent to ensure that they do everything within their power to provide safe and nourishing foods for their families. Personally, I cringe when I look at the ingredients on traditional baby formula labels. I would encourage you to read the ingredient labels of 2 or 3 popular formula brands and consider if you would consume those ingredients yourself!